Lash Extensions! Synthetic Mink Eyelash Extensions With J. Weisman Beauty. Get Full Set For $59, Full Set With One Fill For $79, or Full Set With Two Fills For $99! IMPORTANT BOOKING INFO: Book and fill out consent papers online at www.jweismanbeauty.com. When booking select, “Classic Lash Extensions." Then, fill out the “Lash Extension” consent forms. When entering your phone # enter your mobile and not your landline so that you can receive a text confirmation! 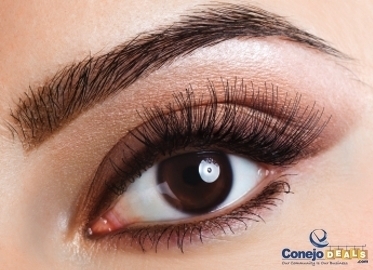 One of my all-time favorite Conejo Deals beauty discoveries is eyelash extensions. Not only do they look gorgeous, but they save you precious time in the morning…no tedious mascara application! Today’s deal for lash extensions is extra special because it comes with the option of up two fills! And you will not bat an eye at the price: get a full set of top of the line synthetic mink lash extensions for $59, a full set with one fill for $79, and a full set with two fills for $99!